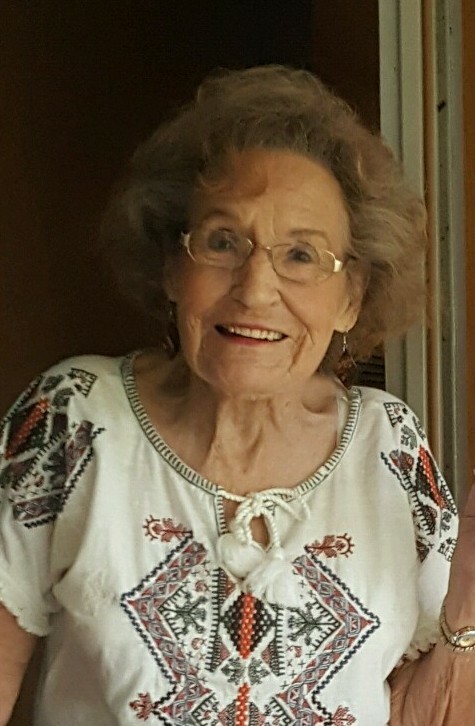 Florence Rose Preston, age 93, passed away Friday evening, May 4, 2018, at her home in Rapid River. Florence was born on September 27, 1924, in Neopit, WI, the daughter of William and Ethel (Lindsley) Welch. She was raised in the Escanaba area and attended the Escanaba schools. Florence was united in marriage to Joseph Preston on June 30, 1942. In 1949, Florence and Joseph relocated to Milwaukee, WI where they resided until moving back to Escanaba in 1962. The couple remained in Escanaba until settling in Rapid River in 1974. Joseph preceded Florence in death in 1979. Florence has resided at her “Little piece of Heaven, Preston’s Paradise” since. Florence was employed at Eaton Corporation in Gladstone. Florence and Joseph also owned and operated Preston’s House of Portraits together for many years. In years past, Florence enjoyed boating, waterskiing and hunting. She is further survived by 11 great grandchildren, 1 great great grandchild and numerous nieces, nephews and cousins. Family will receive friends on Thursday, from 3:00PM to 5:00PM, at the Skradski Funeral Home in Gladstone. Funeral services will follow visiting hours on Thursday, at 5:00PM, at the Skradski Funeral Home in Gladstone, with Rev. Fr. Brian Gerber officiating. Florence’s family will conduct a time of sharing and remembrance following funeral services. The Skradski Family Funeral Homes of Delta County are assisting with arrangements. She will truly be missed. A very classy and fun woman. We have many fun memories of her visits here. May God bless her and her wonderful family. She is at peace now. She was a sweet lady. I always enjoyed her when I worked of Eaton’s. She never for got who I was. She always said hi and waved even just recently at my Aunt Josie service. They were best friends. So sad she will be missed. My condolences goes out to her family..
Grandma Preston had a great life and a big influence on mine. She will always have that influence carried with me forever. Grandma will be missed by us all. She was a go getter no stop in that lady. My heart is sad but through faith it will be strong again and that is what she would want. She is with Dad and Keith ,Grandpa, Rickie Joe and all others in her life. We will all be sad at times thru out our life’s missing this great lady. But we have to remember what she always wanted was us not to be sad and us to live our life’s with happiness and make life one big party. Love u so much grandma. One day we will be together again. God Bless. Your grandson Preston. I’m Penny’s sister Patty and I loved your mother. I only met her one time, but she left an impression on me that never will be erased. I immediately liked her spirit and energy. She was special indeed. She and Mrs. Johnson came down to Lansing with Gary and Penny on their way to Grand Rapids and that’s when I met Florence and Mrs. Johnson. I was so happy to meet both of them, as my sister speaks of them constantly and adores both of them very much. This will be hard on not only you and Ernie, but Mrs. J and all of Florence’s grands, great grands, nieces, nephews and everyone who loved her. So sorry for your loss! She was a very nice lady! Only met her a few times but was very pleasant! Big hugs to all!! Florence was a special lady and dear friend. We will miss the love and warmth she shared with us. May she rest in peace in the care of her Heavenly Father. Our prayers and deepest sympathy go out to her family at this difficult time. So sorry to hear of your loss, mom, remember her back when we were in high school,very nice lady. My sympathy gos out to u all.